Tina joined HireNetworks over 10 years ago and is a star at building and cultivating relationships in the technology recruiting space. Her responsibilities span from new business development and account management to corporate development and training. Tina is known for her personal approach of working closely with HireNetworks’ large companies as well as companies looking to scale their technology organizations. Her talents for appropriately matching an applicants’ skill set with company culture and knowing their organization from the top down is evident by her serving as the on-site recruiting resource for several companies as they grew from as few as 6 to well over 100 employees. Tina has built on her experience for 15 years and prior to HireNetworks, she recruited for companies such as IBM, Perot Systems, and NCR Corporation. Tina is responsible for the leadership, management, and growth of HireNetworks’ large company solutions and contract staffing division. She also plays a vital part in the continual development and expansion of the executive search services, (campbellandjames.com) into new and prospective clients with needs for executive talent. 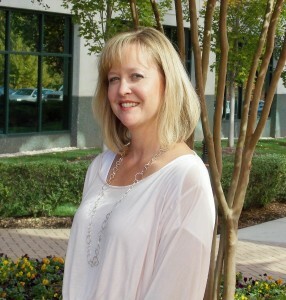 Tina serves as an Advisor for the North Carolina Technology Association (www.nctechnology.org), an Ambassador for Center for Entrepreneurial Development (www.cednc.org) and plays active roles in Triangle Technical Executives Council (www.ncttec.net) and Human Resources Ethics Committee. In addition, she serves as the chair for a local Women’s Alliance Resource and Networking Group. She resides in Durham with her husband and 3 daughters.